2019 Event Tickets for Dallas Concerts are on sale now! Broadway theater is a term that is usually used to refer to the dozens of professional theaters in the Theater District and Lincoln Center along Broadway in Midtown, Manhattan of New York City. However, different big cities around the United States have taken interest in the genre, bringing the high-quality musicals and theater to more people throughout the country. Dallas is one of the only cities doing this in Texas. In the next year, shows in Dallas’ “Broadway” include Elf: The Broadway Musical, The Phantom of the Opera, The Book of Mormon, Anastasia: The New Broadway Musical, Hamilton, Miss Saigon, Aladdin: The Hit Broadway Musical, Hello, Dolly!, Fiddler on the Roof, and Dear Evan Hansen. 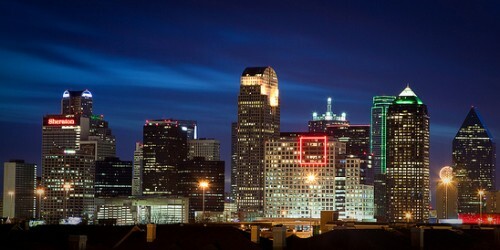 People who enjoy concerts but appreciate storytelling, visuals, and drama will be thrilled by what is offered in Dallas. For Concerts in Dallas, please see our event listing calendar of Concert tour dates in 2019! As like most of Texas, Dallas is known for country. Most of the low or no cost cover cost locations cater to this genre that is popular among the locals. Adair’s Saloon is one of these places. Every night of the week starting at 7:00 p.m., acts hit the stage. Hear Ben Morris, Dakota Ritter Band, Hainesvlle Travelling Radio Free Show, Jason Herrin Band, Manzy Lowry, Squeezebox Bandits, Greg Schroeder, Brian Lambert, Ryan Edwards, Josh Jaccard, Red, Sissy Brown, Tuxedos, and more in the coming week. Crown and Harp is another low-cost option. The Common Table is another free option, which is unusual for an Uptown venue. Thursdays and Saturdays, this venue welcomes artists that transcend genre, style, and speed. For listeners who like a gamble between soft folk, edgy indie rock, and pop-electronic, The Common Table is place where listeners never know what concert they are going to get. The Free Man, Twilite Lounge, Klyde Warren Park, The Balcony Club, and The Rustic are some other Dallas hangouts adored by the locals that are sure to put on a good concert for an affordable price. Jessica Simpson, Ashlee Simpson, Demi Lovato, Ray Vaughan, Freddie King, T-Bone Walker, St. Vincent, D.O.C., Michael Nesmith, Steve Miller, Ray Price, Trini Lopez, Meat Loaf, Norah Jones, and more musicians made their way in this Texas town before any place else. Although Dallas is not known to have the most active music scene in the nation, there are natural born performers who take its stages. In addition to the loved Adair’s Saloon mentioned previously, Double Wide, Reno’s Chop Shop Saloon, and Lee Harvey’s are some of the locals’ favorite places to pick up great food, good drinks, and live music in casual wear. From Crowdus Street to Commerce Street, these dives are scattered around the city, bringing a down-to-earth listening experience to patrons. How Do I Find Upcoming Dallas, Texas Concert Events Near Me? See below for a list of Concerts in Dallas TX scheduled for 2019.